Tottenham goalkeeper Hugo Lloris has been fined £50,000 and banned from driving for 20 months. Lloris pleaded guilty to one count of drink-driving at Westminster Magistrates' Court on Wednesday and admitted being more than twice the drink-drive limit when he was stopped in the early hours on August 24. Lloris, who captained France to World Cup glory in the summer, was driving his 2018-plate Porsche Panamera along Gloucester Place, Marylebone, when he was pulled over during a routine stop by police. 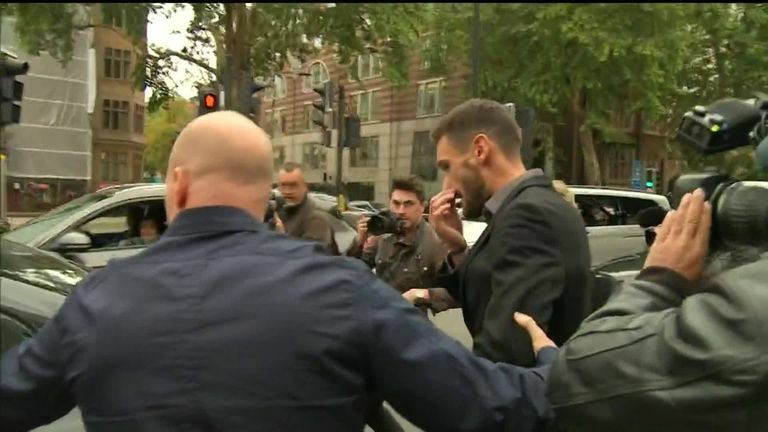 The court heard Lloris provided a sample containing 80 microgrammes of alcohol per 100 millilitres of breath - the legal limit in England and Wales is 35 microgrammes. Lloris appeared in court after returning from France's home game with the Netherlands on Monday and will be dealt with internally by Tottenham. Prosecutor Henry Fitch said police in an unmarked car spotted Lloris' vehicle driving at 15mph in a 30mph zone. He also veered his car "towards parked vehicles", before correcting himself. When police stopped the vehicle - which was driven by Lloris and contained one passenger - they discovered vomit. The 31-year-old Frenchman then had to be helped from the car. Sentencing Lloris, magistrate Amanda Barron said the fine represented the seriousness of the offence as well as the goalkeeper's financial means - though details of his salary were not disclosed in court. She said: "This is a very serious offence, as you know. "Not only were you putting your own life at risk but also that of your passenger. "It was pure luck that you did not cause damage to other vehicles or pedestrians in the central London area." The court heard the goalkeeper had been dining in a restaurant and was showered with drinks from fellow diners. Lloris signed for Spurs from Lyon in 2012 and has made 209 appearances in the Premier League, keeping 75 clean sheets. He has also won more than 100 international caps and lifted the World Cup eight weeks ago after France beat Croatia 4-2 in the final in Moscow. He did not make the squad for Spurs' last league match, a 2-1 defeat at Watford on September 2, due to injury.